So as I’m sure you saw, Friday was a crazy day in the markets with the Brexit vote causing markets to tumble worldwide. I think that may have played a role in my overnight trade dumping on me. Luckily I had a tailing stop in place which reduced my overall loss because it fell way past my stop. The total loss on the trade in $ZAIS was a $1,035 hit. I’m still not a huge fan of overnight trades. I’ve had a few go in my favor but for the most part I tend to loose on them. I also dislike the feeling of giving up control on the trade, seeing a stock climb in A/H and then tank in P/M and gap down in the open. The loss in ZAIS set me to be over $1k in the hole for the day and I was looking to make that up, all though I really wanted to be careful and avoid revenge trading. So I stuck to me patterns and looked for entries that I knew had the odds in my favor. I found that in forex first. Normally I wouldn’t trade FX unless I’m doing so just to practice chart patterns, but the Brexit vote had the markets going wild. I looked at the pairs GBPUSD and GBPCAD a saw that they appeared to have bottomed and were in the process of a bounce. I found the breakout levels and watching the MAC-D and AO. Once in both I set trailing stops and let them move up. By the time I was stopped out my gains were GBPUSD $510 and GBPCAD $185. I re-entered both trades a short time later and I’m planning on holding them longer for bigger gains. My next trade was in $SGY to catch a breakout with MAC-D and AO nearing zero lines. I walked up the S/L and was knocked out a short time later with a gain of $135. 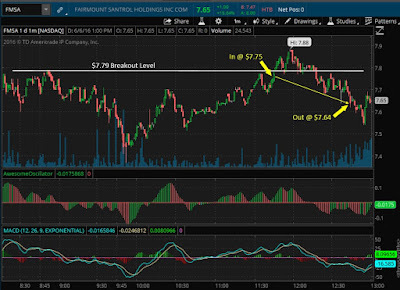 I then attempted a trade in $NGD for a breakout at the 4.49 level with MAC-D and AO levels nearing zero lines and was able to get in at 4.47. It seemed to have too much resistance at the 4.49 and looked like it was going to form a triple top vs breakout so I cut losses early and left with a small gain of $38. I then retraded $SGY with the goal of catching a breakout of 8.11 and set a tailing stop with a .10 tail. I was knocked out in a dip and locked in a small gain of $22. At this point I was pretty much breakeven on the day and decided to trade more to see if I could push harder and actually go green on the day. That’s when I got into a trade with $EXAS for the breakout of 11.55. I had a decent entry but unfortunately was slow on setting up my S/L and got caught in a dip. I cut losses quickly however with a loss less than 2% at -$210. I then took another trade in $SGY as a momo play while I was picking up prescriptions for my wife. I was trading on my mobile which I’m not a huge fan of because I’m not able to use the MAC-D or the AO. 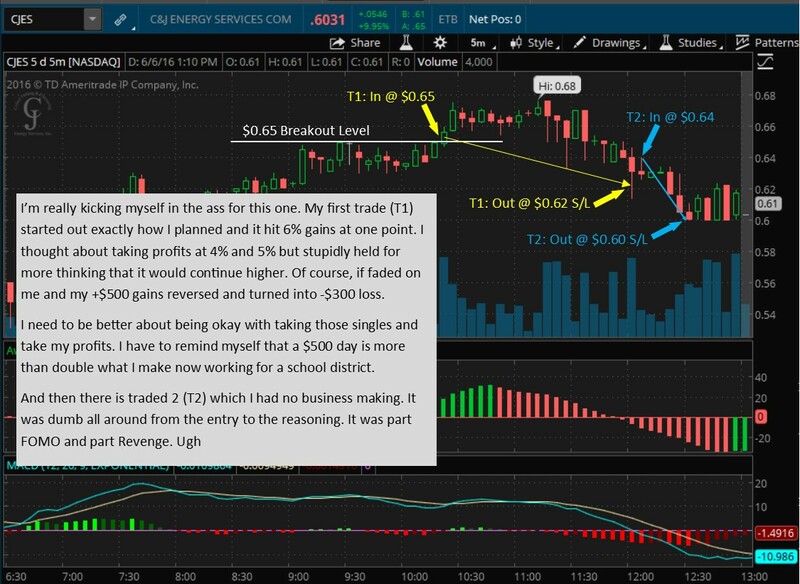 As soon as the trade was filled I also entered a trailing stop of .10 and I was stopped out roughly 10 minutes later for a gain of $105. My last trade was also in $SGY based on the MAC-D and AO. I was looking to catch a fade into the close. It had other plans though and I ended up cutting losses with a loss of $105. So overall I’m very happy with the way the day played out. Yes, I ended in the red but on a day with the markets going crazy worldwide I nearly made up over $1k in losses. In fact, had I not done that trade in ZAIS I would have ended the day in the green at $770 on the day… but shoulda woulda coulda doesn’t put funds in the account. 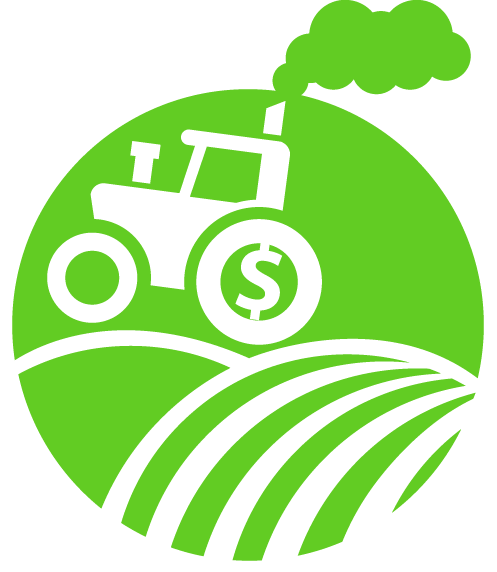 I wish everyone a green week starting Monday. Remember, Plant the Seeds of Education and Grow Your Pennies. Good morning fellow penny farmers and a HUGE congrats to those from Great Britain on securing your independence. I love watching history take place and there is no doubt that what is going on in Europe is historic. 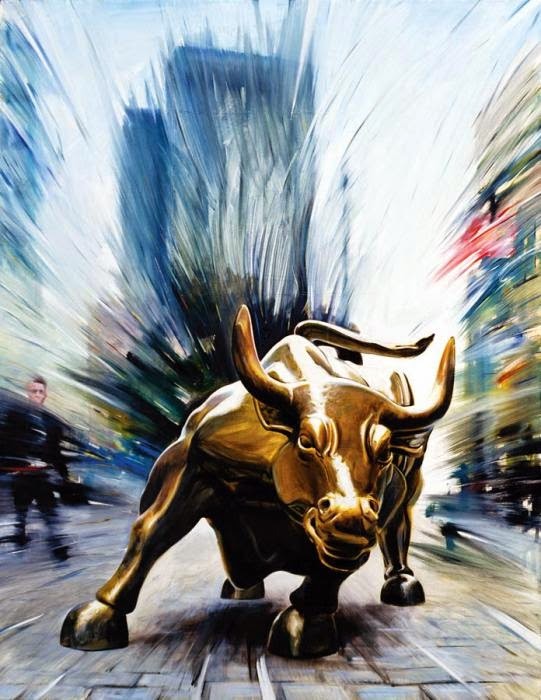 The global markets started going crazy as we led up to the vote and after. Japan halted trading for a while, the pound went into a freefall, and oil dropped significantly as well. As an investor this would be a very scary day, but as a trader this is a day full of opportunity. I made a few paper trades in FX with GBP/CAD and GBP/USD after the pairs appeared to be bouncing off of their bottoms. My first two trades netted about $600 in profits and I still have two positions open. Speaking of open positions, I did very little trading on Thursday and decided to place a long position in $ZAIS near the close. The stock had a huge run and was holding levels on a pullback into the EOD. My plan is to hold overnight and sell into continued momentum with a trailing S/L of .10 cents. ZAIS, 185.1% EOD. This had a huge run on Thursday. I entered within the last half hour of the day and took a position @ 3.97 when the pullback was holding support levels. My plan is to sell into continued momentum and I have a trailing stop in place. I came into the trading day about 1 ½ hours into the day and saw that my overnight trade in $DELT had stopped out at $1.56 with a $310 win. It did test higher with a HOD of $2.60 so I probably should have used a trailing stop vs a stop limit, but I was really unsure if it was going to pop again or just continue to fade and turning the trade into a larger loss wasn’t something I wanted to do. I’m still not a fan of holding overnight… it feels like I’m giving up some control on the trade and I can only imagine the stress I’d feel with a real $10k position on the table. With that trade done I decided to look around for another entry by taking a look at the percent gainers of the day since I didn’t make a watch list the night before. I saw $SGY had been making some good moves and that the chart suggested that it was starting to fade off of the HOD. When there was a clear breakdown level at $9.50 that was about to crack I placed an entry and was filled at $9.61 and walked my S/L with the price action eventually getting stopped at $9.30 for a win of $341. 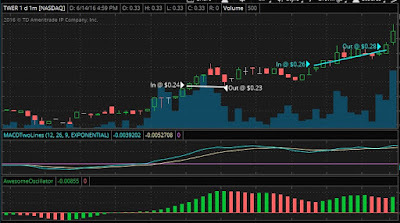 I continued to watch the chart and placed another trade at the $9.20 level and got filled at $9.14. I set a tight S/L and ended up getting knocked out at $9.10 for a $20… basically a scratch. I had planned on waiting until the last hour of the day before placing further trades but continued to watch the chart of $SGY. Another clear technical breakdown level was getting cracked and I decided to go ahead and place an entry with the plan of using a trailing stop and carry the position into the EOD. I was filled at $8.90 and a little while later stopped out at $8.74 for a gain of $176. 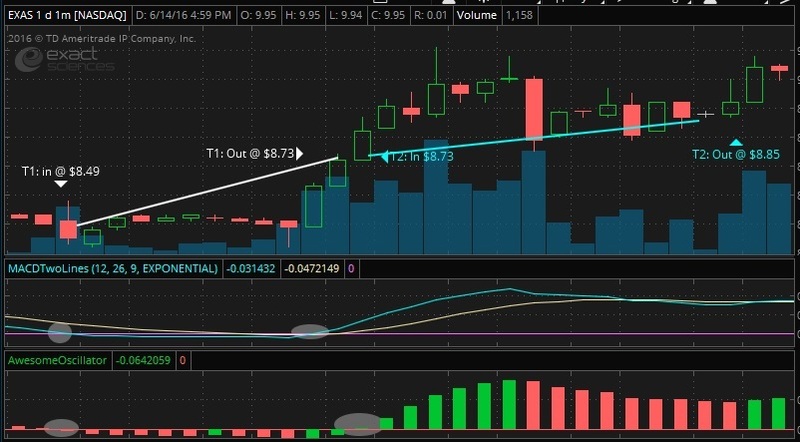 My last trade in $SGY came at another technical breakdown level getting cracked and an entry of $9.09 and a trailing stop of .10, it was later stopped out at $8.92 with a gain of $187. My last trade came at the last hour of the day and was a short position in $UIS, I was stopped out quickly with a loss of $30. At that point I was $1,004 in the green for the day and just wasn’t feeling “it” anymore. I decided to keep the gains rather than risk giving it back to the market. Sometimes the best trade is no trade. Plant the Seeds of Education and Grow Your Pennies! I hope that everyone had a great Father’s Day weekend and that you took some time to be with your loved ones. I had planned on taking my family to an air show at Paine Field in Everett on Saturday but the weather had other plans and it rained all day. Instead we took the kids to Finding Dori Thai for dinner, then an arcade for a bit before finishing off the day with ice cream. To recap on Friday I ended up placing a short position on $EXAS with an entry of $10.81 with the goal of being there for the crack of the $10.40 support and ride down to the $8.90 support. Both were held over the weekend. Friday’s list is on the small side. There just wasn’t a ton that I was crazy about and I already have several on lists from earlier this week that I’ll be checking on for possible plays. I hope that the dads reading this blog post have a great father’s day planned. I’ll be taking the family to Paine Airfield in Everett for an air show put on by the Flying Heritage Museum. Several WWII era fighter planes will be taking to the skies and putting on a show for us. I hear the museum also has several tanks in their collection too. I’ll be posting pictures on twitter and instagram so please click follow and check them out. MGT , 7.84% EOD. Not a lot of movement in this but I entered when this was making NHODs. It faded on me as we closed and my position was in the red. It did hold the 3.40 support and this has a history of morning runs and afternoon fades. Going to be available at the open to sell into a morning run or cut losses. EXAS, 20.58% EOD, This had another nice run and it continued in A/H but I’m not sure it can continue and retest the 52wk high of $12.50. I’m short bias on this. Well you can’t win them all. I had a red day with a loss in $CPRX of -$367.20, roughly 3% to 4% losses. I had placed the entry of .84 as it was setting up to breakout and make a NHOD. I then set a trailing stop of .10 and ran some errands. It tested .86 and then faded with me getting stopped out at .81. 1. It remained green on the day, so no big green to red moves. 3. This has shown a pattern of running up in the morning and then fading in the close, I think it may do this again. I think there were a couple of things that negatively affected my trading today. First, I was relying more on the 15 minute chart and 5 minute chart vs the 1 minute chart because I knew that I was going to be out and about today. My plan was to find the general trend of the day and then use the 1min chart for entry, let the trailing stop do its thing while I was away. The last few days I’ve been trading the 1min chart only and glancing at the other time frames just to get an idea of the direction strength. I basically was giving up control of the trade today. The second issue is that I was trading mobile all day. That doesn’t seem to work for me because I like using the MAC-D and AO indicators to find entry and exit points. Live and learn. Trade again tomorrow. Today I’ll be watching the list from Wednesday which now includes $VMEM and $MGT. I traded them both yesterday and think they may still move nicely. There are a few new stocks to add to the crops. MOSY, 41.82% EOD. This one had a nice run up to .47. On the daily chart it looks like there is resistance at .48 and then again at .52. So if it can break past the .48 it could be a nice gainer. NVCN, 17.50% EOD. This had a nice run all day with a top at .48. It came close to the HOD and closed at .47. I’m bullish on this one but I’d wait for the breakout of .48 before getting in. CPRX, 12.21% EOD. This ran from open to close and then sold off A/H. I think profit takers were playing the A/H. This could run another day but keep in mind that Wed action seemed to form a loose double top at .83 to .84 to trade safe. Today was an important day for me and not just because I had another green day. It’s important because I finally took an account on Profit.ly to 50% winnings. I still have a long ways to go before I’m in the 60% to 70% winning circle like Tim and his other successful traders are, but considering that I’ve spent all my profit.ly time in both my @paperaccount and my money profile @pennyfarmer in the 40% range… hitting that 50% has me pumped! I don’t want to down play the gains today though, because I netted about the same as Monday and Tuesday combined. I’m sitting on a little over $1,600 in profits in 3 days (at the school district I was making roughly $2k a month 40+ hrs a week) So this week is a huge boost in confidence to me and I hope for those who choose to read my post it holds some inspiration. I feel like things are clicking and that I’ve found my niche in trading. I know that not every day will be green and that I’ll make mistakes along the way, but I truly believe that supporting my family and reaching financial freedom is not only possible but going to happen. This brings me to the big switch from paper trading to money trading, at the moment it looks like things are lining up to having me trading fulltime in August. I’ll be paper trading until then. $VCH $16, This was on my Side Crops list and I made an entry at $6.34 when I saw that the chart was setting up to run and test the HOD of $6.40. I accidently set the stop limit too tight and got knocked out at $6.35 for a small profit of $16. After getting stopped out I felt that an entry wasn’t looking good anymore and decided to look for a trade elsewhere. It did hit $6.46 a short time later before fading the rest of the day. So I’m happy that I was on the right track here. $VMEM $762, This wasn’t on my watch list but I spotted it as a mid-day percent gainer and liked the chart. I placed an entry at $0.79 as the price was making NHODs and liked how the MAC-D and AO looked strong on the upside. I walked a stop loss up with price until I need to leave the house and step away from my PC. When I returned to the market I saw that it stopped out at $0.85 for a win of $762 on 7.59% gains. It later had another push and ripped up to $0.94 before closing at $0.90. $MGT $55, This is another one that popped up on the mid-day scanner. I debated not trading it because I was already up over $700 and was a little worried that I’d be giving some of that gain back. I liked the chart though because it was basically the same chart as $VMEM and got a position at $3.15 but was quickly stopped out at $3.16 for a small win of $25. I waited for another decent entry and got one at $3.22 and was able to hold it to $3.24 and took a small gain during a dip. I need to adjust how tight I’m leaving my stops because this trade is the second trade that would have been much better if held from point to point vs in and out. Instead of $55 net, a entry of $3.15 to $3.24 would have been a $225 gain. But I came out green and that is what matters. Again, thank you to everyone who has taken the time to read my posts and watch lists. Remember, Plant the Seeds of Education and Grow Your Pennies! Knock on wood, so far my penny harvesting for this week has been very good. Monday was a $232 day and today was a $611 day… who knows what “hump-day” will bring. My goal for tomorrow is to focus on my trades more in regards to what I’m choosing to get into and when I’m exiting. I’d like to limit myself to one or two trades and that’s it. 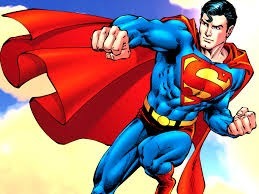 That way I am lowering my market exposure because every time you put your money into the market you are put it at risk. And risk management is everything. Remember to plant the seeds of education and grow your pennies. $TWER, 113.94% EOD, this had a great run mid-day to the EOD and it continued to move in A/H. I could see this ripping more tomorrow and wouldn’t be surprised if we don’t see a red day until Thursday. I’d make sure that the HOD during the open market of .32 holds before jumping in, unless it just goes nuts in the open then piggybacking the momentum might be ok.
$LBIX, 68.67% EOD, This had a strong move during the day and nice volume. It could run more so worth watching. Ideally it will breakout above $2.60 and then the mid-day resistance of $2.80. If it does that it could jump to the HOD of $3.34. $EXAS, 33.38%. This moved up mid-day to the EOD and then ripped up to touch $10.40 in A/H. I think this could go either way tomorrow but if I had to choose one I’d have to say that I’m more bias to the short side here. I’m clearing my watch lists from Monday and Tue. For tomorrow I’ll be hunting the stocks on this list as well as monitoring the biggest gainers of the day. I hope that everyone had a good day in the markets and locked in their profits, especially in today’s 100%+ mover $TWER. The small caps aka penny land has been on fire lately with 50% to 100% movers daily. But just because there are several stocks on the move don’t get suckered in to chasing. These stocks are swinging up and down fast and you could get stuck on the wrong side of the trade really easily. I did today when I placed a short trade in $EXAS and saw in slip on me faster than I wanted. 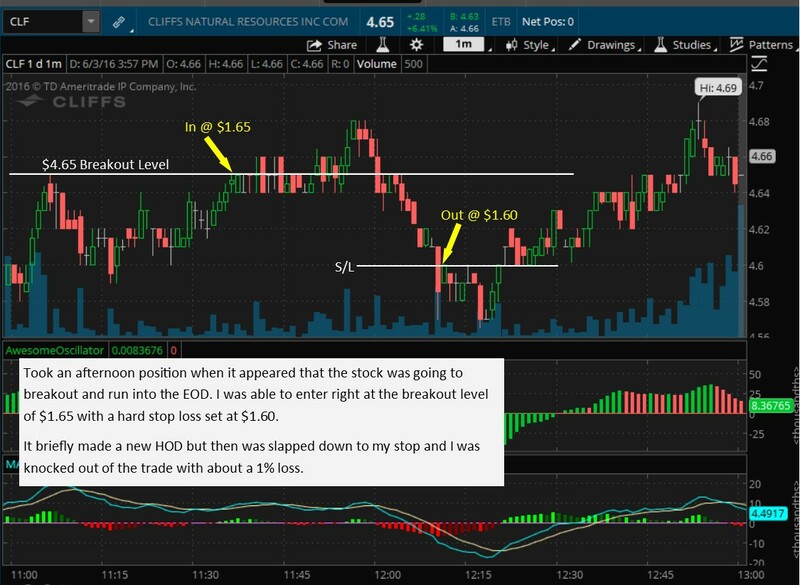 I ended up reversing the position and managed to ride the momentum high enough for the trade to go green and cut my loss in half. It’s a tactic I’m not fond of but with the momentum I was seeing I suspected that it would go green. $GEVO ~ My first trade of the day was made without me at the helm. I had moved my stop loss in $GEVO up from .47 to .50 when the A/H and P/M suggested a potential gap up. At the open the stock did push up to .53 before fading back down. My S/L was triggered on the way back down and it locked in a $205 profit. $EXAS ~ I entered this short trade when it appeared that the MAC-D and AO were going to crossover the zero lines on the down side. I got in just before the crossovers but then saw the price action flip on me at it quickly headed back up and slapped me in the red. I then realized that I had failed to check longer out charts and I had missed that the overall trend was upward, meaning that the strength was to the upside vs my short. I decided to reverse the trade rather than just take the loss because I felt that the upward push would be strong enough to either take me back into the green or at least reduce my loss. It did continue to push up and I took profits when it looked like the trend was losing momentum and cut my loss in half. T1: -$288 T2: +$144 = -$144. I left a lot on the table with this one because a hold to near the EOD would have seen mid 9s and even 10s A/H. $TWER ~ I then took a position in $TWER when it started to rip into the close. My first entry was at 0.24 but my nerves got the best of me and I stepped out when it dipped to 0.23 for a loss. The price continued up with strength and I decided to re-enter and got in at 0.26, then held until 0.28. After looking at the indicators I realized that I could have held from 0.24 and then closed at 0.28, which would have been a much nicer trade. In all I ended the day with a gain of $611 in profits which is way more than I made per-day at the school district, although I feel like I over traded to get to that number and that means I was taking too much risk because my positions weren’t ideal. Stay tuned for tomorrow’s Crops to Watch. Remember, plant the seeds of education and grow your pennies. Monday went really well for me with a realized gain of $292 by the EOD. 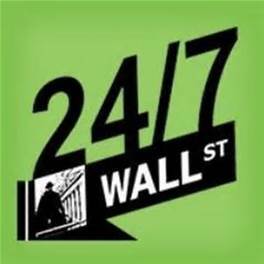 I am holding $GEVO overnight with an entry of .49 and a tight stop at .47. My goal is to cash in if it pops to .52 or tests the HOD of .55. There didn’t seem to be as many big movers today as we saw last week but several I listed saw 10% or 20% moves green or red. Please remember that the strategy I’m employing doesn’t rely on huge runs or morning spikes/panics. I’m looking at several stocks near the EOD and I’m looking to snag 2% to 6% gains as the stock either squeezes into the close or fades. I’m not a huge fan of holding overnight but will do it on occasion. Because of family obligations I often times don’t even look at the market until it is in the middle of the trading day. My goal is to be as consistent as possible with smaller gains that add up over time. I like to walk a stop loss up with the price action when I can to try and be in a good position if the stock decides to run past my targets. GEVO,11.40% EOD. My reasoning behind this stock is the same as the last list. There are several bits of catalyst out there and this seems to get news exposure still. I’m holding this overnight with an entry of .49 and a tight stop of .47. My goal is to take profits around .52 to .55 but if it cracks that HOD I’ll walk my stop loss up and look at catching more gains. DRAM, 5.09% EOD. I wish I had spotted this one today because its move was during my trading kill zone and ran from about a $1 to a HOD of $1.69. I’m definitely watching this closely to see if it repeats. GBIM, 53.28% EOD. This ran nicely in the morning and then faded throughout the day with a few pops along the way. I might take a look at trading the pops but only if the chart supported it and I was uder carful with the entry and exit. FES, 40.63% EOD. This had a nice upward move all day. I’d like to see this continue for another day or two and piggyback the momentum. PWE, 36.97% EOD. This jumped after it released 1.1bil in asset sales to clear debt. Chart wise I’m not crazy about it. It gapped up in the pre-market and then basically was sideways all day or slightly fading. This could have a big move tomorrow now that it will show up on other trader’s scans. RKDA, 28.99% EOD. This one ran to a HOD of $2.65 and then faded all day with a close of $2.18. For me, this would have been a good short during the last 10 minutes of the day when it cracked $2.30. Not sure if I’ll actually trade this, but it is worth watching just because of the percent gain alone. TVIX, 28.85% EOD. I traded this for a nice gain of $192. Sure wish I would have held longer as it continued to climb and also had decent gains A/H. This is affected by some of the things going on in the EU so I’d maybe take a look at the news before trading if you are looking to enter in the AM. I’m just looking at the momentum and charts so the news isn’t as important to me. Side Crops: EBIO, Also keeping the last watch list up for an extra day. Make sure you are using your time wisely and absorbing as much about trading as you can. Plant the seeds of education and grow your pennies! I’m pretty happy with how the trading went today. I ended up only trading one of the stocks on the Main Crop list and made two trades from the Side Crop list. By the EOD I am up $292 in realized gains with a position in $GEVO holding overnight. My first trade was in $UVXY and was honestly meant to be a short play with an entry of $14.25 because the MAC-D and AO were quickly approaching their zero lines and I thought it was going to begin an afternoon fade. 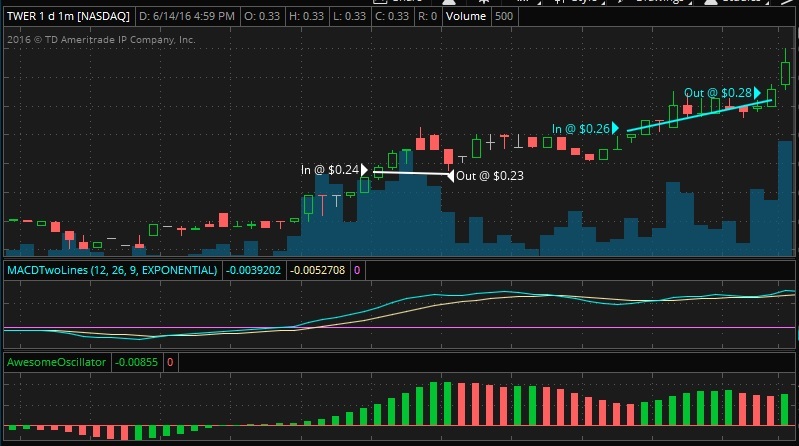 It started to head back up as I was entering my hard stop loss at $14.30 to risk $0.05… that’s when my limit filled and it ended up taking a $40 profit. I was really confused at first because the profit didn’t make sense. That is when I realized that when I had manually entered the number of shares into my order I neglected to include (-) before the number of shares which changed the position from a short to a long. I’ll take the luck as a small price to pay for a lesson on paying attention to the details. 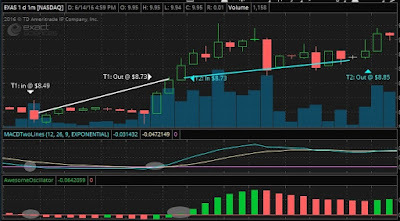 My second trade was in $TVIX with an entry of $3.28, right at the breakout level for a small pullback on upward momentum. It then popped up to $3.36 range and I set a hard stop loss at $3.34. It pulled back slightly and knocked me out with a nice little gain of $192 for a 15 minute hold. Eventually it closed at about $3.52 so I ended up leaving a good amount on the table. 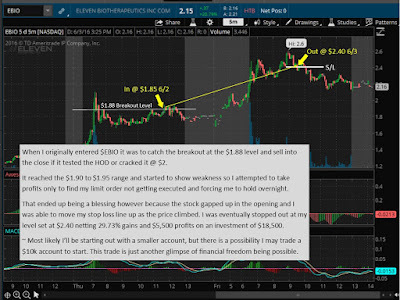 I made one last trade in $GEVO as we neared the EOD because the MAC-D and AO were approaching the zero lines. I think I jumped the gun on this one and entered a little too early. My entry is .49 and it did pop to .50 but then started to fade into the close. I think this may pop to the .52 resistance or maybe retest the .55 HOD from today. I’m going to hold it overnight and I have a tight stop loss set at .47 risking 0.02. Like I mentioned in the Main Crops list yesterday, there is still a few catalysts out there circulating and the company has been getting some screen time in the local news outlets so I feel this is worth the risk. Thank you again for those of you who send messages and words of wisdom. Please feel free to contact me with comments or questions. I hope you were not affected by the terror attack over the weekend. If you are, please know that my heart and prayers go out to you. I’ll be paper trading still this week as I wait for funds to be transferred and I finish getting things in order. I’m still debating if I should place the funds in my TD Ameritrade account or my ETrade account. I like the feel of trading with ToS and TD Ameritrade has always been good with customer service but I do worry about the shorting limitations and I like how Etrade may open up more setup opportunities with more shorting chances. I’ll be depositing just shy of the $25k needed to get out from under the PDT rule and plan on taking positions sizes large enough to make a 2% to 6% profits to live on. I am a little nervous about taking larger positions because I’m sure the emotions are going to be epic to handle but I know it will increase my ability to be more consistent. It is just way easier to nail a small gain than always hitting 10% gains or more. Especially with my strategy of trading the last hour. GEVO, -37.86% EOD. This has been pretty active lately and I’ve traded it recently. It’s been in the red so I’m not overly excited about it but I saw that it was in news again over the weekend here in the PNW, also institutional ownership up 26.39% with 1.6mil purchased. Also a prospectus was recently filed suggesting plans to soon issue some securities. I have no idea what it will do on Monday if anything, but there seems to be a lot of potential catalysts out there so I think it is worth watching. SPHS, 69.23% EOD. This had a huge run on Friday after reporting positive news on its phase 2 study on its prostate cancer treatment. I think this could run again this week and would look for a breakout of about $2.35 range, although if it continues to drop and can hold below $1.80 it could be a good entry to short. HHS, 58.41% EOD. I’m watching this to see if it can retest the HOD from Friday of $2.09. GBR, 47.37% EOD. I’d like to see this retest the $2.90s and would consider trading it again. I think I would be quick on the trig here though because last week my stop loss failed to execute here and what should have been a nice win turned into a small loss. CNXR, 44.54% EOD. On Friday we had a double top form at $1.75 so I would watch and see if it fades from there or if it retests it and can push through. Today's crops I picked had some pretty big moves with some in the green and others in the red. Either way there was plenty of opportunity to harvest some pennies. 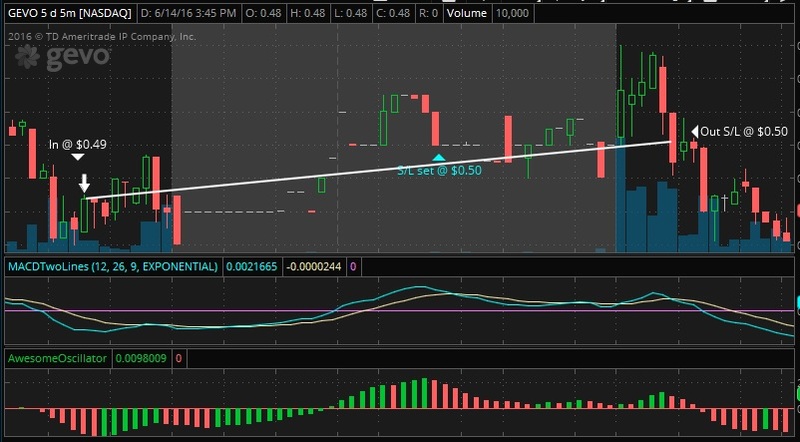 I wanted to end this week with focusing on trading in the last hour of the market but ended up making a trade at the open because I happened to still be up at the open and I saw that $KTOS had won a large government contract. It appeared that it might have gapped in the open and there was plenty of room up before the next resistance, so I went ahead and placed a limit order. A fellow trader on Twitter did mention that contracts for $KTOS wasn't anything new and that usually it didn't pop with contracts. Because of the risk reward I decided to continue with the trade and got an entry of $4.02 and set a tight stop loss at $1.95. It then went sideways and failed to get a morning spike, just like my fellow trader said it would. I held it just incase it had a late run but it eventually faded and I was stopped out. After the loss in $KTOS I stopped watching the market and stuck to my plans of trading the afternoon. By 11:30 (PST) I was ready to trade and found a nice little breakout setup in $GBR. It was exactly the type of setup I'm looking for with the breakout lining up with the MAC-D and AO nearing their zero line crossovers. The breakout level was at about $2.69 and I was able to fill my limit order with an entry of $2.74. Momentum was picking up at the point and the breakout was well underway. I set a stop loss and walked it up as the price increased. When the price reached $2.98ish my stop loss was set at $2.90 and would have been a very nice gain of about $.16 a share. For some reason the stop loss didn't execute and I watched the price blow past it. I was pretty frustrated at that point and decided to hold it for a while longer and see if I could recoup some of the losses. Eventually it did climb back to $2.66 and I exited with about a -3% loss. I'm not sure why the stop loss didn't work. I haven't experienced it with real money, though I'm sure it happens on occasion. It seems to take place quite a bit while paper trading. About a half hour after entering the trade with $GBR I spotted another setup in $TPLM that fit my strategy. The breakout level was at about $0.40 and the MAC-D and AO indicators were lining up to cross their zero lines right at about the same time as the breakout. My limit order was filled at $0.4173 just above the breakout and I set a stop loss and walked it up with the price. This time the plan work how it was supposed to and after I set the stop loss I walked it up with the price. When the price peaked and started to fade I ended up with an exit of $0.43 for a win of $364.49. I'm taking most of the weekend off to spend time with my family but I'll be back at it Sunday night with a new set of Crops to watch and maybe an overview of video 10 in How To Make Millions. There is a big change in my life that is taking place. I'll be taking some risk but I honestly feel with all my soul that now is my time to take my trading to the next level. I had planned on starting with a couple thousand in an account and slowly grinding and growing my account until I could trade full time. Which brings me to trading fulltime. I've been looking for something to make a career out of other than professional security. Don't get me wrong, being a security specialist at a school has plenty of benefits, like decent pay, holidays, summers, working with kids, etc. But it's a dead-end career. I'm topped out at $22.75 and that is actually pretty high pay for my area in this industry. It's just enough to keep you from switching careers but not enough to not be struggling. I'm moving some finances around to give me an account of about $20k, its risky because with trading there are NO guarantees. But doing so will allow me to take positions of about $10k and aim for easier 2% to 6% gains which will be more consistent than hitting 10% or 20% gains regularly. It will also put my closer to that $25k level to lift the PDT rule. I'm not sure what the future holds, but I feel that this is my time and sometimes it takes risk to move forward in life. If you always do the same thing day in and day out... you're going to get the same results day in and day out... and for the average American family that is living paycheck to paycheck with debt and stress. I'm more excited than scared because I know I can do this, trading is something I love and I'm passionate about. I look forward to the challenges and growth that is soon to take place. I welcome you to come along with me as I take this journey. Together we'll keep planting the seeds of education so that we can grow our pennies. I hope you all harvested a ton today. I had two trades in $OREX that averaged $150 in gains for my paper account. Unfortunately that decent action was squashed by my overnight trade in $GEVO which never recovered from its fade at my entry of $1.11 a share. I’ve come to realize a couple things about how I trade and found that certain time windows don’t work for me. Overnight plays being one of them. I like the concept of an overnight play not counting as a day trade and if you nail it, you’re at a prime entry… But it seems that most of those types of trades for me turn into losses and I don’t like the extra risk of not being able to control the A/H or P/M. Maybe later on I can refine that strategy through further paper trades but for now I’m going to pass on them. Trading the opening is hit and miss for me as well. This is more about my sleep schedule and family than trading ability. I’m in Pacific Standard Time which puts the market open at 06:30am, couple that with getting my kids up and going, then driving them to school… It is difficult to enter / exit a trade on my PC. I can trade mobile but the charting and indicators are limited. I will monitor and I’m open to morning trades but I need to be really careful. For me, the last hour (power hour) is my kill zone. I have the free time without distractions to trade on my PC. True the gains are smaller, but I’m aiming for 2% to 5% gains and will walk my stop losses up as price action moves into the close, so the small gains is not that big of an issue for me. I also like that there is a wealth of action to look at, solid intraday support and resistance levels are usually there, volume is there, news/catalyst is usually there, and the price action is fairly predictable based on the chart patterns. You have your afternoon fades and EOD squeezes. I’m also able to use my watch list as well as several sites that track the biggest percent gainers for the day. So with that said, my trades today consisted of closing out $GEVO for a big loss. The P/M was promising but it never returned to the levels that would have gotten me out of the red. 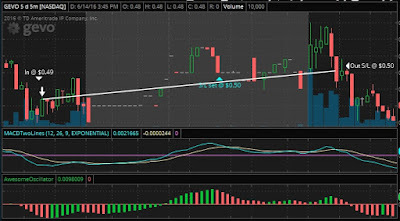 I attempted a momo play in $EYES for a push to the close but my limit order was taking too long to execute and I saw that the chart pattern and entry point was changing on me so I canceled the trade. I then made two plays in $OREX during two smaller intraday breakouts around the $0.50 - $0.51 range. Trade one netting gains of $400 and trade two a loss of $250 for an average profit of $150. Remember Fridays can produce some big short squeezes so be cautious if going long in something. As always, keep planting the seeds of education so you can grow your pennies. TPLM, 92.19% EOD. This had a big run today with not a great catalyst. Some financial info on YF but nothing to me that looks like it justifies the action of the day. It was on my watch list for today, tomorrow would be day 3 of a run if it continues up. I think this could have one more day before falling back to old levels. JAGX, 76.52% EOD. 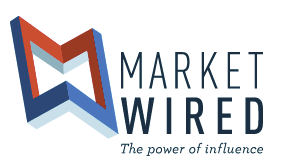 This had huge spike in the morning on news of Aspire Capital Fund entering a $15m commons stock repurchases It faded from 115% gains to 76% at the EOD. I’m short bias on this one though I do think it can run again early in the trading day before fading more. BLPH, 52.79% EOD, No new news to drive the move but it had a nice morning spike and then pretty much held the level throughout the day. I’m short bias on this one just because there doesn’t seem to be a good catalyst. Definitely look at the technicals on the charts first before entering. PRZM, 52.04% EOD, This had a nice afternoon run but I don’t see a catalyst to warrant it. I think it can run more but I wouldn’t be surprised to see if fade into the EOD. ZDGE, 40.55% EOD. Financials are acting as a catalyst here. It had good price action today with two distinct spikes. I’d be watching the charts with this because if it breaks out past today HOD it can really rip, but if it isn’t able to it could form a head and shoulder patern. GBR, 35.61% EOD. No new catalyst to warrant the action. I’m short bias on this one but I’d make sure the chart shows a clear break down. EYES, 22.34% EOD. Noticed that people were pushing an older news article on this one. The price action was good but I think it may be short lived. Today was pretty good for me. I’m long overnight in $GEVO and will be looking to sell into a pop in the AM or cut my losses. I also made a quick in and out trade of $OREX as it was squeezing into the close… a 7 minute hold netting $600! That should be as motivating to you as it is me. 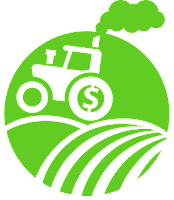 I’m constantly planting the seeds of education so that I can grow my pennies, I hope that you too are a penny farmer. Here is my watch list (Crops) for tomorrow. Happy Trading! 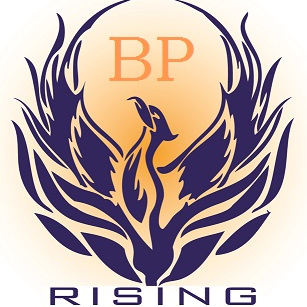 BSPM, 200.75% EOD. This had a huge run today after financials and high volume. There doesn’t seem to be much support on the chart, until the $5 to $5.50 ranges on the weekly chart. So if it can crack the $5 level and hold, then this may run a little more. But I’m more short bias on it because I don’t feel that the move today was warranted by the new catalyst. GEVO, 59.08% EOD. This saw a nice rip today after news that two Alaska Airliners were using their fuel for the first time. There is the potential that the trial run could lead to a much larger contract with Alaska. I think that may be at the heart of the run today. I’m still long from $1.11 when I bought in for a breakout of $1.12. I was looking to exit when I hit a gain of 3% or so but the limit order didn’t get filled. It fade into the close so now my position is in the red, but I can see this possibly gaping/running in the AM. OREX, 51.56% EOD. This had a slow grind up most of the day and then a squeeze into the close. I managed to trade the squeeze for a quick 5% gain. There is news out so the catalyst is there. This could move further up tomorrow before it dumps. TPLM, 48.84% EOD. This had a nice move today with further gains in A/H. This could continue higher if the oil industry cooperates. I’m long bias on this at least for another day or two. Sorry I haven't posted an overview of video 9 for Tim's "How to Make Millions", I've been focusing on my trades and honestly there are a few things in my life that may force me to switch from working and trading on the side to just trading full time... even though I don't think I'm 100% ready yet. At some point I'll go in depth on my family's money issues. 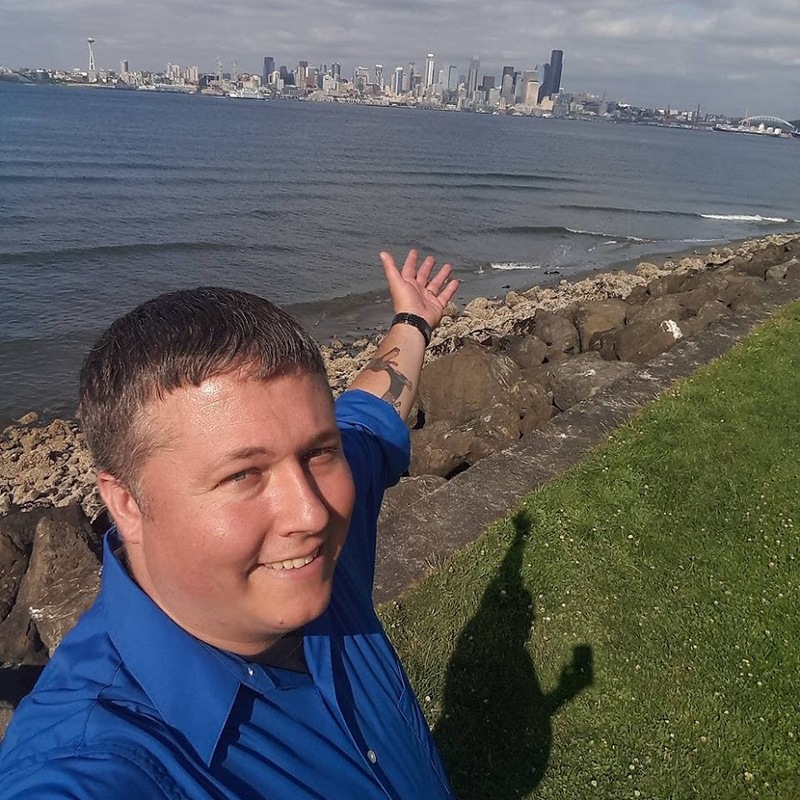 We all have challenges in life and the last few years have really made it clear that I need to get going on pushing towards financial freedom. The longer you wait the harder it becomes. Plus life is short and I want to provide my family with the best life possible. As with videos 1 through 8, 9 mentions several times that you need to cut losses quickly. Remember, Tim and his most successful students only win 60% to 70% of the time. That means those losses must be managed because if you are loosing big 30% or 40% you're going to cancel out your wins or worse, you're going to stay in the red and slowly bleed out your capital. One thing Tim mentioned before going into his "Summarized Strategy" was to make sure you are not anticipating the breakout. You should wait for conformation first. This is something that I've been guilty of and I've had potential breakouts fade on me. Keep it simple. Tim trades with a laptop and smart phone. You don't need the bells and whistles with twenty screens. Tim stays 100% cash most of the time. Always looking for trades but not falling for FOMO. He treats it like he's a retired trader. Focus on one trade at a time, aiming to make a few hundred or thousand at a time. Trading is not like a salary, it is opportunistic in nature so look as profits over time. If the breakout is weak or doesn't happen get out. If the breakdown is weak or doesn't happen when shorting, get out. Avoid non-volatile stock that have dropped 20% to 50% as they are too unpredictable. Look for solid news catalyst and solid chart. With both in place your risk is reduced. Plan and look for risk reward, not the total profits. Look to make $1k to $2k average per trade and rinse and repeat. Ignore long-term investments and make your money work harder for you. Take it one trade at a time, don't get overly emotional and remember that this is a journey. You'll notice that Tim tends to repeat certain concepts throughout the videos, blogs, twitter posts, youtube etc... Cut losses, don't force the trades, educate yourself, its a journey. I'm working on taking notes on video 10 and will post the overview soon. Never too early for branding lol. Since my trading blog is pennyfarmer.com I'll go ahead and call my watch lists crops... why not right? HMNY ~ 549.16% EOD, This had a huge rip today from $1 range all the way to the HOD of $10! This was due to news of a pending merger and earnings. This could go either way honestly, it could still have a lot of upward momentum as late comers like myself look to jump in for a day two rip, or we can see this dumping because it went up too fast for its own good. Either way it is worth watching and is top on my list for tomorrow. I missed the run on this today. I left the house to take my son to school and about 5 minutes later it broke out and ripped to $15. I hate missing a good play, especially when I was watching for it. But you can't force trades to fit your schedule and you have to realize that trades come and go, there will be another runner. Also wasn't able to short it into the close because the ToS platform didn't have shares to short. But I saw it and would have nailed the trade if I was able to get in. VBLT ~ 72.54% EOD, This spiked in the morning due to news of positive cancer treatment trials. I’m actually a little short bias on this stock because it seems that many times a runner that fades into the close will dip further the following day. Not sure if I will trade this though. Saw a decent short play but wasn't able to get shares in the ToS platform. TPUB ~ 17.74% EOD, This had a decent run today with the news exposure on the Gannet bid thing. It’s a bit pricer than stocks I probably should be focusing on but with this being a major newspaper with widespread exposure it could see another day of momentum as it will likely show up on peoples scanners and news feeds today/evening. I didn't see a good play here today but I'm going to keep it on the watch list. There was another article out today on a 16% owner buy in. As with many of my picks I spotted some good short plays but was unable to find shares to short so I had to sit them out. I was able to get in ARGS for a small 2.85% gain. I hope everyone had a great weekend. I spent some much needed time with the family doing a few fun things like getting our vegetables planted in the garden and a quick fishing trip in with the kids. I'm excited that my new social media account at Instagram reached 50 subs and my Twitter account bumped up to 150 subs... Yes, I realize that its small compared to others and while I could sign up for some service that inflates your account subs I'm not doing that. Each of my subs are real and I hope to grow that base more and more. My trading day started out decent but I ended up doing a couple of dumb things that cost me roughly $1k to my paper account. 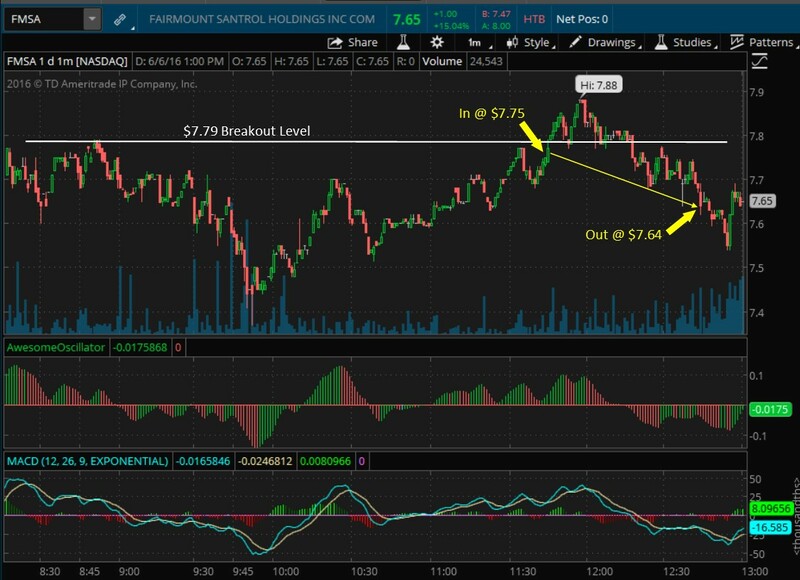 My first trade was long with $FMSA in the morning to catch the breakout above $1.79. I set a hard stop at $1.64 risking $0.11 a share. My entry was good and the setup was solid, but it faded on me and I was stopped out. It did test a new HOD of $1.88 a short time later so I missed the breakout by just a little bit of time. I'm happy that the stock did what I thought it was going to do though. My next trade started out well too, and if I had been smart about taking profits I would have been done for the day with $400 to $500 in gains. I really need to work on being okay with taking profits when I hit 4% to 5% and should be happy that I'd be making more with a few clicks of a button than I do working a full day at the school district. $CJES was looking like a breakout at the $0.65 level was about to take place and I got in right at $0.65. It reached 4% and 5%, even 6% briefly, but I failed to take the profits because I kept hoping that it would hit 8% or 10% gains as we went into the afternoon. That was a big mistake because it dipped on me and I was stopped out at $0.62 which took my $500 gain and flipped it into a $300 loss. Then I was REALLY STUPID and gave in to FOMO and Revenge with another entry at $0.64 and saw it fade to my stop at $0.60 for a $600 loss. Good: My entries and seeing breakouts were good. Good: Setting stop losses and sticking to them. Bad: Failed to take profits when I hit 4% and 5% gains. Side Note: A fellow trader on Twitter https://twitter.com/TraedingBad made some going points and suggestions on my trading, such as needing to take my profits, trading the Awesome Oscillator. For those who don't know what the Awesome Oscillator (AO) is take a look at the first indicator just below the candles sticks on the charts I've posted here. Like the MAC-D it tracks the momentum of a stock. I've always liked how simple of an indicator it is but I don't think I've been taking full advantage of it. I think tomorrow I'll try using it more to gauge my entry and exits. Here's a useful link on the AO in case you're interested to learn more about it. What Does a $5,500.00 Win in $EBIO Mean to You? Yesterday I entered a position in $EBIO to catch an afternoon breakout and hopefully a run into the close. I nailed the entry and was in right at the $1.85 breakout level and watch it rise to the $1.90 to $1.95 ranges. I started to lose some strength and I decided to exit... but the limit order didn't fill by the EOD and as the price faded I was stuck with an overnight trade. I was prepared to exit as soon as the market opened and just take the loss. But then the overnight issue became a blessing in disguise and it gaped up in the morning. I then started moving my hard stop loss line as the price moved the stock higher. 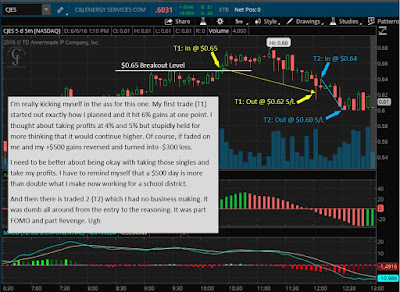 I was eventually stopped out at $2.40 but that left me with 29.73% gains and $5,500.00 profits on one trade. Of course, we're talking paper trading here so I'm not actually $5k richer. But with that said, this trade does hold a lot of value for me because it confirms that having financial freedom is truly possible. I attempted another trade today looking to catch an afternoon breakout in $CLF at $1.65. I was able to get a good entry and it appeared that the breakout was going to take shape. It did pop to $1.69 briefly but then quickly fell and triggered my stop loss. In all, the trade was well executed and I cut losses with about a -1% loss.